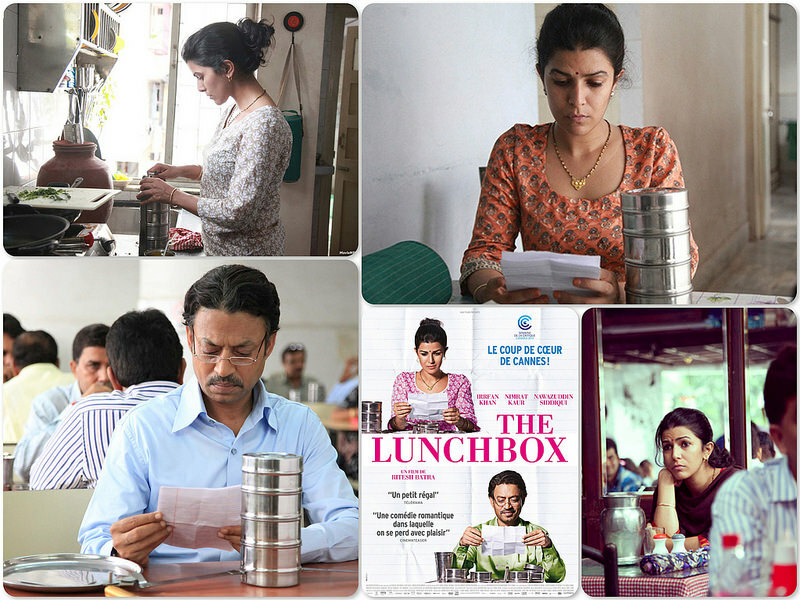 I am always interested in food-related movies and The Lunchbox is a 2013 Indian romantic film is a must-see for both dreamy and hungry souls. Starring Nimrat Kaur as Ila and Irrfan Khan as Saajan Fernandez, this is a story about two people who develop a virtual friendship thru the interchange of notes in a lunch box (dabba or tiffin). It is a popular custom in India that wives prepare lunch for their husbands to be delivered daily to their offices by a Dabbawala. This particular lunch box was given to the wrong person, Saajan. As Saajan received this dabba, he noticed that there was something different. The aroma that hit his nose right after he opened it was extraordinary and the taste of the food transported him to a happy place. When Ila got the lunchbox back for the first time she noticed that is was completely empty and was happy that her husband had enjoyed what she prepared. When he got home and mentioned that the cauliflower was very good, she realized that her tiffin did not get to her husband. And so unfolds the events that revolve around handwritten notes hidden in the lunch box. It is an endearing story, with food playing the role of a transmitter of magic and love. The food looked mouthwatering on screen and the tenderness that developed between the characters was deliciously palpable. Sad I missed this! I saw a docu about the intricate system of delivering tiffin carriers in India and love the whole concept! Saw this movie for the first time last night and loved it. I am searching for recipes from the film (so far no luck) and came across your blog and read it. My husband and I find ourselves viewing foreign films more than American made just to find stories of intricate delicacy like this. I’m curious what the young colleague made for dinner. Can I trouble you for the name?